I was so excited when I saw the snow last night, that I ran outside to snag this shot. 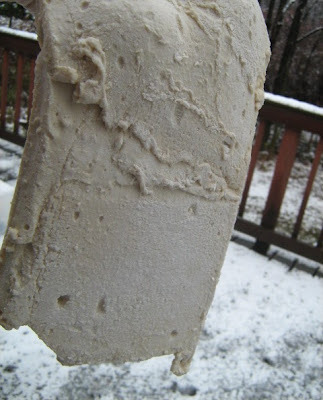 Tomorrow it's back to the lab for another experiment of marshmallow making. I never used organic agave nectar before so I'm excited to give it a go. Thanks for the idea, Pat. And Christian, here's the photos of Marshmallow Test Batch 01. Not a pretty site. But the taste did improve the longer the mixture set. 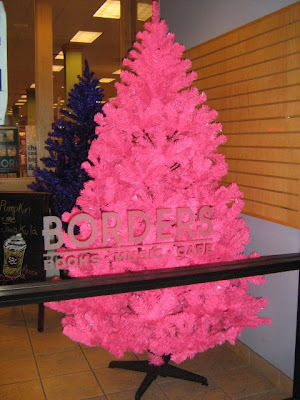 And lastly, the pink and purple Christmas trees we saw at Borders tonight. Also, not a pretty site. Oh golly, I dont know if I like that pink xmas tree or not haha, but I do love your snow pic. A great shot! I havent read Matilda. Have you read The BFG? The kids rave about it. Im yet to read that one too. NaNo is a disaster! lol but Little Nano is great. 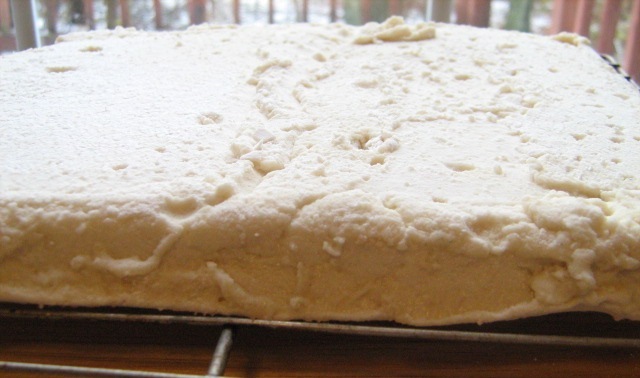 The biscuits at the top of your blog look delicious. My mouth is watering!! Take care. Enjoy the last two days of your holiday. Hi Niki - When I saw that pink tree, I thought it was so horrible, that I had to take a shot of it. Yes, read BFG. Dahl is my most favorite writer. Have most of his books, but not all yet. For Halloween Tim bought an authorized biography about Dahl. Sorry NaNo is a disaster. Are you writing a certain number count per day? My friend Pat is doing NaNo again this year. She comments here too. Thanks for the nice comment on the biscuits. They have almond extract in them. Yum. Thanks for stopping by. 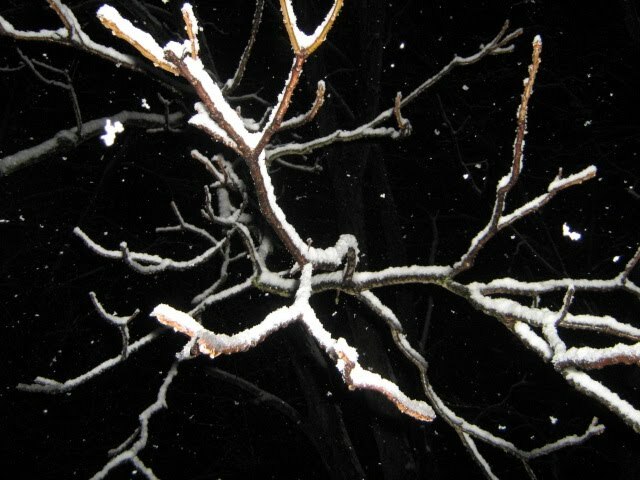 Glad you like the scary snow tree. It's my favorite of the week. Glad Little Nano is doing great. PS: Matilda is a fantastic book. I haven't seen the movie, but the bits I heard about the movie are not so great, but the book - fabulous. As of today, I'm at 12,318 words I think. You can check me out at as "Pat Marin" on NaNoWriMo. This is my 7th year and I write short stories in real time. Why I'm addicted to NaNo I have no clued. But it has taught me wonderful things about as a writers. Yes, the pink tree really is terrible. That's why I had to shoot it. They had two pinks and two purple trees. Click Niki's name/image and it will take you to her site. It's a FANTASTIC blog. Or copy and past the address below. Enjoy. Wow, look at that snow! And the pink tree! And the marshmallows! I'm sure you'll perfect them given enough time.